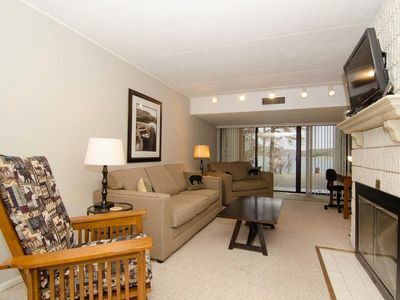 A peaceful and memorable vacation awaits your family at this gorgeous duplex, Providence! 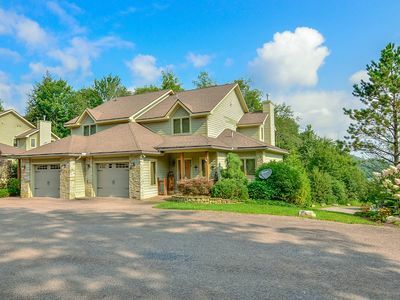 This spacious 5-bedroom 4.5 bath retreat welcomes you with lovely stone finishes on the exterior and unique décor throughout. 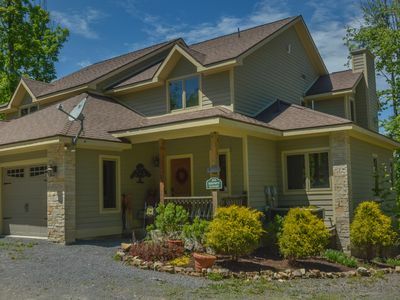 Located in a tranquil lake area community, it's just minutes from the sandy shores of Deep Creek Lake State Park, a local movie theater, and lots of favorite restaurants! Upon entry, you will be greeted with beautiful wooden floors, top-end finishes, and stainless-steel appliances. Every corner of this home is uniquely decorated with tasteful pieces from floor to ceiling! The main-floor master bedroom is conveniently located and provides fresh, modern décor. You will be delighted with this space as it offers gorgeous wooden furnishings with a queen-sized bed to match. Jump into the comfy bed and relax while watching your favorite movie on the flat screen TV or find comfort in the spa inspired attached full-sized bathroom! 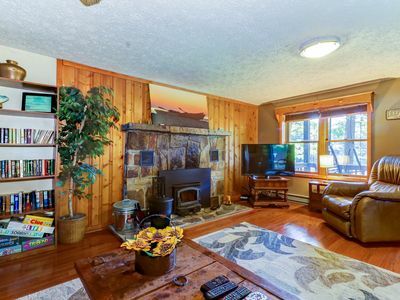 The main floor gathering area is perfect for families small or large. The dining area has plenty of seating for your night of eating in. You will also find extra seating around the kitchen's granite countertops, which is closely located next to the dining area! 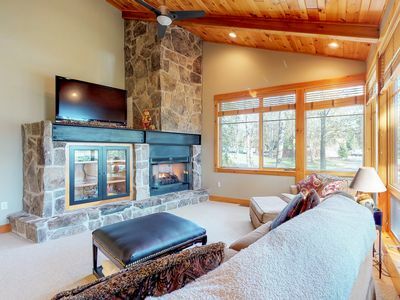 Turn on the gas fireplace and the perfect background music and you've created your own place of serenity and relaxation. 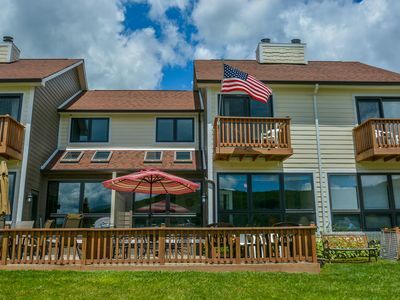 Just a step away from the dining and living area, you'll find a spacious balcony with beautiful views of Deep Creek Lake to impress everyone in the family. 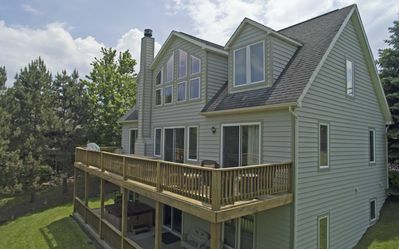 The chef of your group will be thrilled to find a propane gas grill, and given the right temperature, you may just need to have your morning coffee on the balcony – or the covered front porch, you decide! 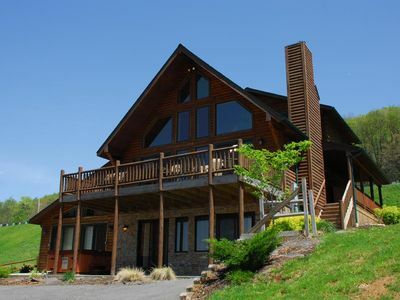 The upper level of this amazing home offers two master suites! 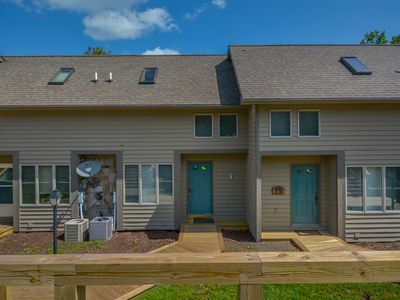 While both of these suites are uniquely decorated in their own theme, they both provide natural inspired design and relaxing earth tones, making them ideal rooms for relaxation after a long day of fun Deep Creek Lake activities! 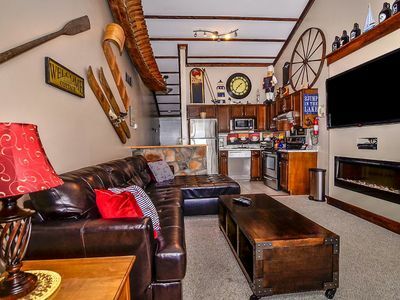 Choose between the upper level master that provides stunning lake views, a king-sized bed, and a flat screen TV, or kick back in the full-sized master with fun, edgy décor – especially great for the sports enthusiast of the family! Last but not least, the lower level of Providence is where all the fun happens! The recreation room is equipped with a full-sized ping pong table, a wet bar, and a spectacular 55” flat screen TV! 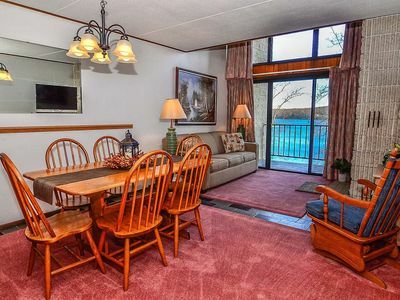 This area is great for gathering everyone in the family for a fun-filled evening of laughter and excitement. 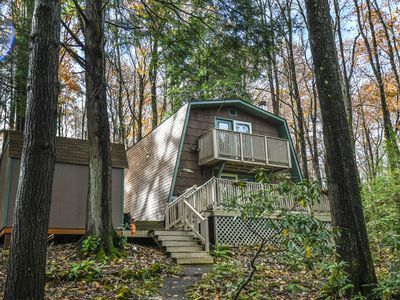 A full-sized bathroom on this level is located with convenience in mind for all and can be shared between the two lower level bedrooms! 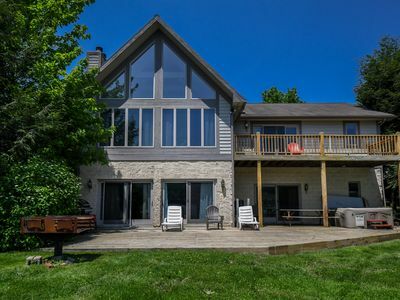 Slide open the double glass doors to find a flawless stone patio setting for the entire family to enjoy the outdoors by the firepit or unwind in the bubbling outdoor hot tub! 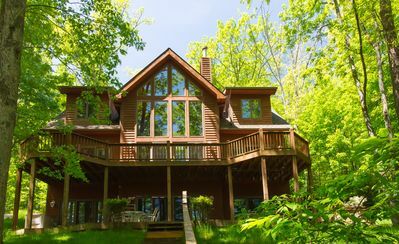 Call us now to reserve your dates at this wonderful Deep Creek Lake home! *All Offers exclude holidays, are not retroactive, and are not valid with other promotions and/or discounts. 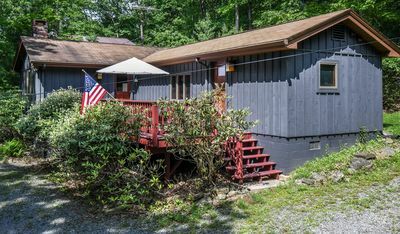 Minimum night stay may apply and a 3 night minimum stay is required for the following federal holidays: New Year's, President's Day, Memorial Day, Independence Day, Labor Day, and Thanksgiving. Please contact us for details. 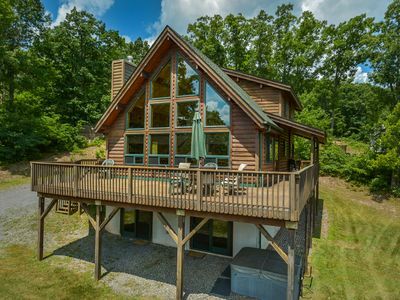 Amazing Lakefront Home Walking Distance to Ski Slopes! 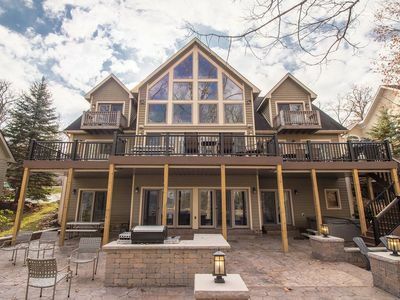 Magnificent 5 Bedroom Lakefront Home offers all the extras & more! 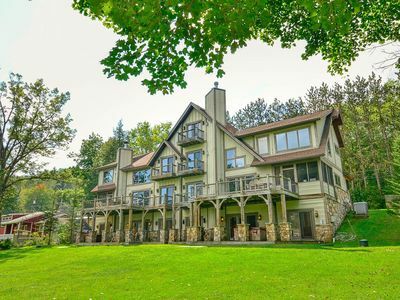 Captivating lakefront townhome on a ski in/ ski out location! Exquisite 5 Bedroom luxury townhome showcases elegant decor throughout! 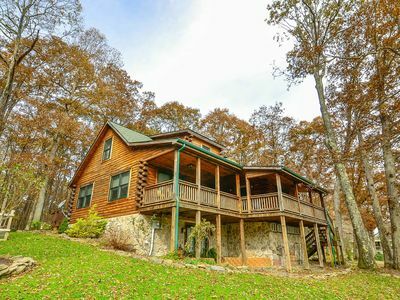 Impressive Mountain Log Home in tranquil setting! 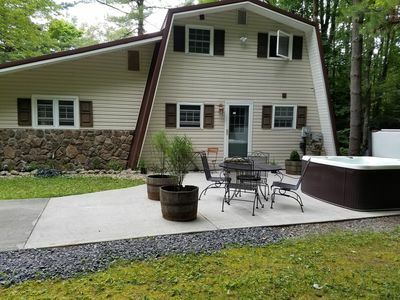 Lake view home within walking distance to Wisp Resort! 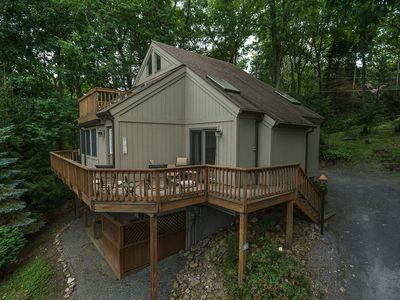 Quaint cottage with easy access to Deep Creek Lake & area activities!